Nowadays, everyone is a smartphone user and all love to chat with friends, family, and others in their free time. You all have used emoji at least once during the conversation. These emojis are the best way to share the exact emotion to your friends within the chat. Most of the people prefer using emojis and stickers rather than typing out words, just to make conversation a lot more fun. For this, we are listing the best emoji app for android users that they one should definitely have. 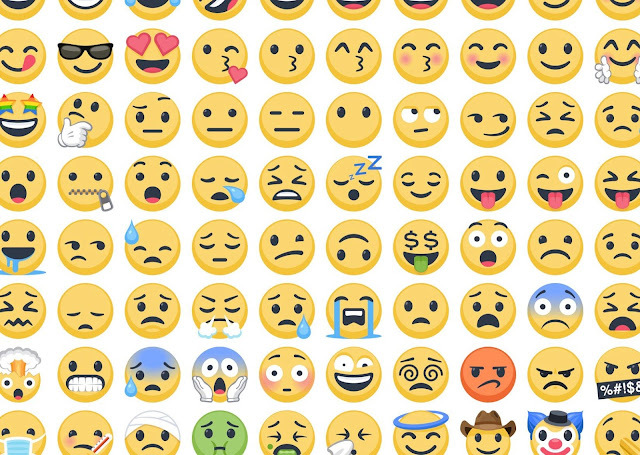 If you search for the emoji app in the Google Play Store, you will find hundreds of options. But, not all of them are free and effective. However, not every app is available with emoji support. In such a case, it's better to install the emoji supported keyboard app. Below, we have discussed everything about the free emoticons app for android users. You can install these apps to share and chat on all social networking sites like WhatsApp, Twitter, Instagram, Facebook, etc. SwiftKey Keyboard is currently the best emoji app for all smartphones. It is basically an Android keyboard app which is available with lots of emojis. The best thing about this app is that it allows all the user to use these emojis on almost every platform including social networking sites. The app has few additional advanced features like flow-typing, spell suggestions, dictionary word suggestions and much more. Collectively, this is one of the trending emoji apps which you can have on your Android. It is a free app for both Android and iOS users. After installing the app you can start using the beautiful sensational emojis and stickers to share emotions and ideas while chatting on different dating apps. Here you will get a good collection of high-quality emojis, stickers, and free minion emojis. The app is completely free and simple to use. Just select your favorite sticker and send directly to your friends to express your feelings. These days mostly iOS users prefer GIPHY app to download sticker and emojis. The app can improve your boring texting life with emoji free app. popular and special emojis available. You can easily use them and easily express your feelings through a message to your friends and family. It provides you the choice to customize your own emojis or also can explore old emoji from the app. It is fit with WhatsApp, Facebook, Instagram, and other social networks. This app has also an amazing feature to create your own stickers of any of the image and save or send it to your friends. Facemoji is by far the best emoji keyboard app that you can ever have on your Android smartphone. This is one of the keyboard apps which can be integrated with almost every popular instant messaging platform. Guess what? the app organizations offer over 3600+ emoji, emoticon, GIF, Stickers which you can use. Not only that, but the keyboard app also brings lots of themes which can enhance your typing experience. Emoji Maker is one of the best emoji apps to create your own emoji and send it to your friends and family. You can make an entirely customizable emojis, pinch to resize, move, layer, flip and more, save it to your gallery. It has a good option to send multiple emojis at a time. It has more than a thousand of design including yellow smiley faces, animal faces, alien and more. You can design your own emoji using these ideas and get free from those boring emojis. Disney Emoji is another free popular and best emoji apps for android users. In this app, you can easily find and collect all the Disney and Pixar emoji character and items. Here all characters are available like the little mermaid, the lion king, and others listed. This emoji app is preferred for a game you can easily blast the board with expressive emoji superpower & combos. You can also challenge your friend to get your emoji and prizes and also share your emojis with them. This emoji app is popular for those who want some adult emoji icons and flirty stickers for their friends. It has a good collection of flirty stickers. All the icons in this emoji and flirty app are of HD quality. It introduces flirty, party, horror, entertainment, romantic, action, funny, and adult emoji. It runs properly on all the messengers as WhatsApp, Facebook, Skype alternatives, and many others. If you are opting for the option of premium account then you must get some special feature. SMS rage faces is one of the best free apps you can use any of them according to your interest and send it to your friends. All Android and iOS users have the advantage of using a unique range of faces. With this app, you can easily add some hilarious faces to your messages and send directly to your friends. You can also share your favorite rage with your friends via Facebook, Twitter, WhatsApp, and other social networks. It has also the facility to save rage face to your photo gallery using the 3D camera and keep track of your most recently shared faces. You can also preview face before sending it. This app allows users to create their own personalized and unique emojis. Not only this but also allows the users to use those emojis in a different messaging app like Facebook, Twitter, Instagram, Snapchat and much more.